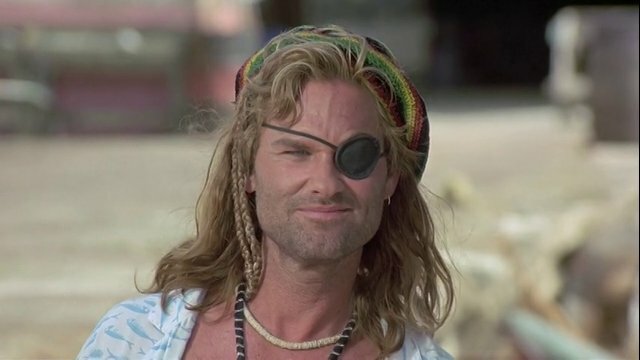 CAPTAIN RON—-aside from being a convincing action lead, Kurt Russell excelled at spoofing swaggering macho types (Big Trouble In Little China, Used Cars, Overboard ) and he gets another go in that vein as the title character in this 1992 outing, directed by Thom Eberhardt. 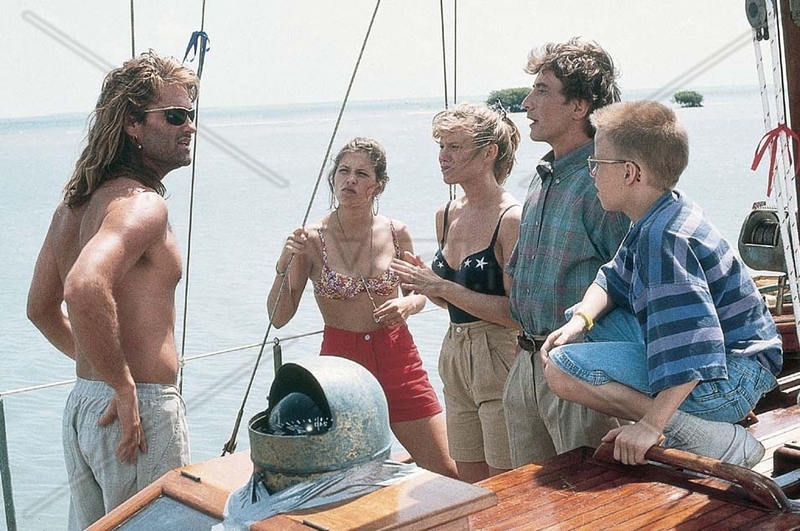 Hired by Martin Short to sail his family through the Caribbean on their inherited sloop, the piratical rascal Captain Ron teaches them to loosen up. Mary Kay Place, Benjamin Salisbury and Meadow Sisto are Short’s brood. Nice music, pretty scenery of Puerto Rican waters and beaches, enjoyable goofing from the cast. Paul Anka has a bit as a yacht broker. Lightweight stuff, it’s not Kurt’s best comic gig, and was over-slammed by reviewers. The boxoffice take of $23,000,000 was a million shy of its cost, so it counted as a bomb. 90 minutes.